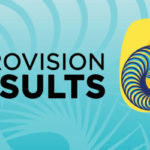 “Selecția Națională”, the national process for the Romanian representative of Eurovision 2018, is tonight proceeding to the 4th semifinal. Diana Dumitrescu and Cezar Ouatu will host the show, live from Turda. The three songs that will bring together most of the votes of the jury, composed by Liliana Ştefan (Eurovision Songwriter for Romanian Eurovision 1998), Viorel Gavrilă (conductor – composer), Ilinca Băcilă (Romanian representative in 2017 with Alex Florea), Nicu Patoi (guitarist) and Marian Ionescu (guitarist, pianist, composer and founder of the Direction 5 band), will be qualified to the final on February 25th. 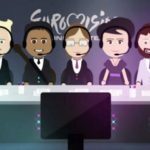 Selecția Națională fourth semifinal’s will start at 20:00 CET and you will be able to watch it from HERE.